Reviews are a wonderful way for yogis to spread the word about what you do. Before trying something new, people love to read first-hand accounts of what an experience is like. On YogaTrail, reviews are much more than simply endorsements ― they help to paint personalities of yoga teachers and studios in yogacentric ways. They can make your listing rank higher in the local search results. You get event credits — for every 5 reviews on your profile, you receive one new event credit. Profiles with a lot of reviews make a great impression and show people that you're engaged with your community. As a yoga pro, you probably have tons of students who'd be all too happy to tell the world about you. Let your community support you! Inviting your students to review you is easy, and you shouldn't worry that asking your students for a review is an imposition: it shows that you care about their feedback, and your students will be happy to support you! So how to do it? 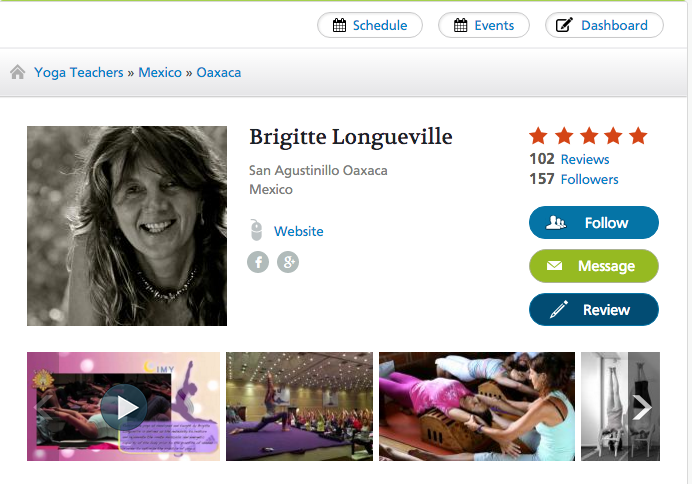 Use the YogaTrail invite page, select "get reviews". 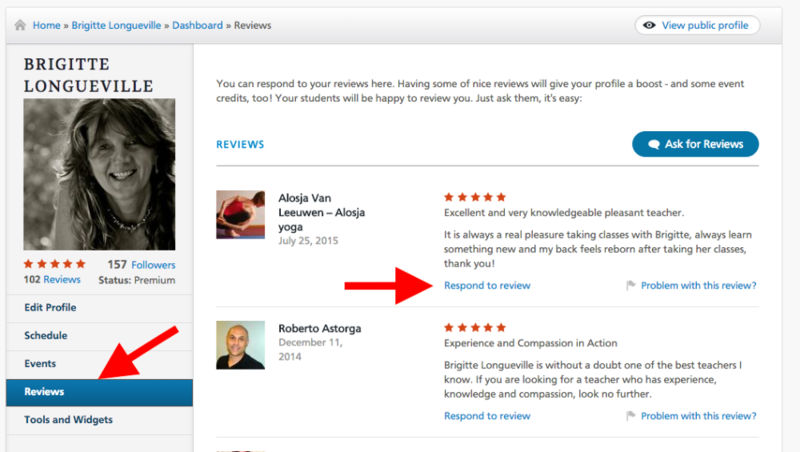 Your students will get a nice email with a direct link to review your profile and share their experience. Please note that your student needs to join YogaTrail and validate their email in order for their comments to be published. This is the only way to protect you, and all the yoga businesses listed on YogaTrail, from spam and problematic reviews. It's your livelihood and we care about it — that's why YogaTrail does not allow anonymous reviews. Most reviews you receive will be glowing endorsements, and you might want to thank your students for writing them. You can respond to reviews by clicking on your Dashboard and, finding the Reviews link in the left navigation, and choosing "Respond to Review". Your response will show up for all to see on the Review section of your public profile. What if somebody isn't happy? It's impossible to please everyone all of the time. If you do receive a lukewarm or negative review, you can respond to it directly in the review section of your profile. Please do so with integrity. Keep in mind that the people reading the review will be very interested in your (level-headed) response. You can also mitigate a bad review with a lot of good ones! It will show people that for one unhappy client you have 10 happy ones, and it will improve your profile rating in no time. Sometimes, private messaging is the best way to resolve a dispute with an unhappy customer. Don't use public comments to launch personal attacks, or offer a “bribe” or other incentive to a member to change a review. Unless the review is obviously abusive, YogaTrail generally does not delete yogi reviews. Your reviews of other yoga venues should be unbiased and objective, since obviously there's a potential for a conflict of interest. For example, businesses and their employees should not write reviews about themselves, and must completely refrain from posting any critical comments about competitors. If you really feel compelled to participate in a discussion related to your own yoga business or that of a competitor, you should clearly state your affiliation.